Two years ago today, I was around 20 weeks pregnant, the Giants were playing in the National League Championship Series, and the book Brave New Knits, which I was utterly delighted and honored to be a part of, had just been published. Fast forward to today, I have an 18 month old rascal running around mimicking everything I do*, the Giants are in the NLCS again**, and the digital rights to my Brave New Knits pattern have reverted back to me. Good times!! 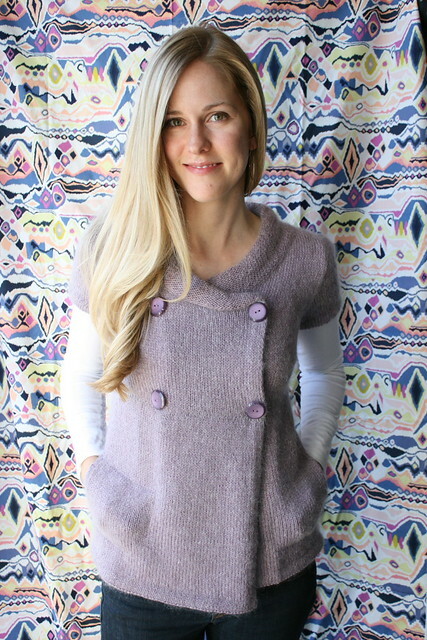 Koukla (Greek for "doll") is a flattering cardigan with an empire waist and pockets. The bodice is knit in pieces with set-in sleeves, and the skirt portion is picked up from the bottom of the bodice and worked down to the hem. The sleeves are worked along with the skirt in a unique way that requires no finishing. The pattern has been spruced up a bit, with new photos and layout (in easy-to-read pdf format) as well as a recheck of the wording and numbers. This was one of my very early sweater designs, but it's remained one of my favorites -- since I got the sample back, it's definitely become a wardrobe staple. And, if I remember correctly, it was quite the fun knit, too. So, if you don't have a copy of the book but are interested in making a Koukla of your own, now you can! * He's recently grasped the concept "please" and that it makes his parents very happy when he uses it. So what does he now use it for? "Coo-kie? Coo-kie? COO-KIE? BEESS!!!" ("Beess" = please) I'm sorry to say....this is just like his mama. ** If you'd like to discuss the baseball postseason, please come find me on Twitter. For some reason, baseball is the only thing I have any confidence discussing on the internet (besides knitting, of course). 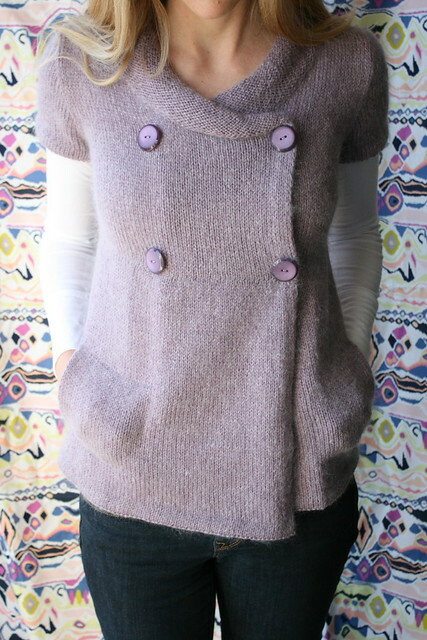 This sweater has been in my queue ever since I received my copy of Brave New Knits. I hope you get a lot of knitting done while you watch your Giants!